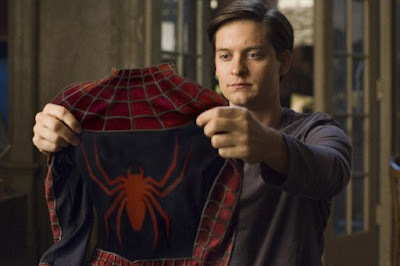 Big, big news on the “Spider-Man” front: The franchise is getting a remake (after script problems forced a delay in production earlier this month), and both director Sam Raimi and star Tobey Maguire will no longer be attached. Columbia Pictures is now at work on an entirely different fourth “Spider-Man” film, focusing on a high-school-age Peter Parker and scripted by James Vanderbilt (“Zodiac”). No star or director is currently attached. Variety quotes Raimi saying he has no hard feelings about the decision: “While we were looking forward to doing a fourth one together, the studio and Marvel have a unique opportunity to take the franchise in a new direction, and I know they will do a terrific job.” The new film is set to hit theaters in summer 2012 (as opposed to the summer 2011 date for the previously announced “Spider-Man 4”); no star is yet set. I’ll be the first to say that I loved Tobey Maguire’s Peter/Spidey, but maybe it’s time for a change. So, what teenage (or teenage-looking) actor should take on the role? Don’t anyone say Michael Cera.